Harness the power of nature. Like any other heat pump, a geothermal heat pump transfers heat from one area to another. In winter, heat from the sun is drawn into the home; in summer however, it is absorbed from the house and into the ground. 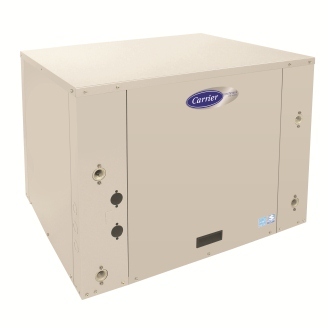 Thanks to Puron® refrigerant, Carrier’s GT-PX heat pump provides superior comfort while protecting the environment. It is, undeniably, the most reliable, efficient heat pump on the market. Contact ACE Plumbing & Heating for more information on geothermal energy and the range of systems that use it. The new PerformanceTM series GT model offers our highest efficiencies for closed- or open-loop installations. These impressive forced-air or water-to-air systems offer 2-stage compression and a variable-speed blower to let you enjoy the year-round comfort you might expect from a high-end gas furnace/air conditioner combination yet all the energy savings of geothermal. 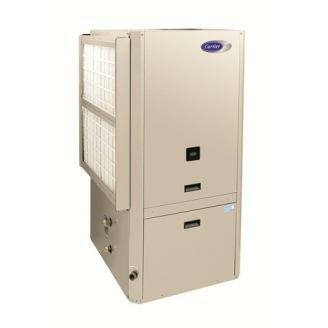 This PerformanceTM water to air unit is designed to deliver total-home comfort all year round. It includes comfort features enhanced by a variable-speed blower motor and a 2-stage compressor with an optional upgrade for supplemental hot water generation. Corrosion-resistant coil for long life, microprocessor control and quite operation make this a great choice. If you prefer higher heating temperatures from your registers in winter or just want to continue to make use of an existing furnace, this indoor unit may be what you need. 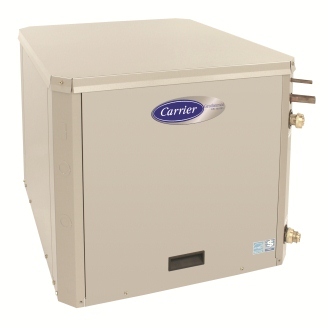 The Performance™ GS geothermal split system heat pump offers high-efficiency performance designed to be coupled with a high-efficiency natural gas/propane furnace or fan coil. It utilizes your furnace or fan coil's blower motor to move air and offers the efficiency and comfort benefits of two-stage compressor. 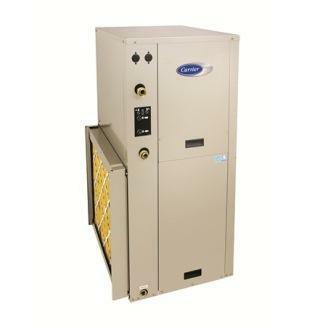 This geothermal heat pump delivers the comfort with hot water for your radiant or hydronic system. It can also help cut your costs for domestic hot water production. 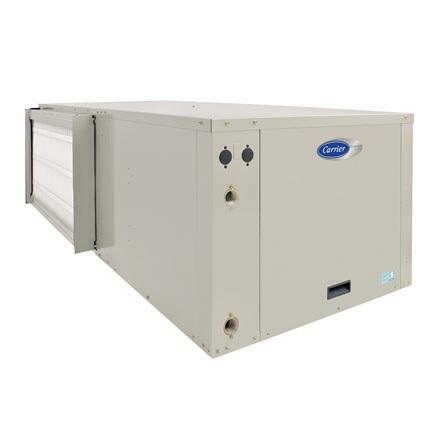 If your needs extend to cooling, in some cases, this model's innovative design can also work in conjunction with a hydronic air handler to utilize chilled water to produce cool air for your home in the summertime. This ComfortTM series water-to-air heat pump offers exceptional quality and year-round operation at a price you can get comfortable with. You cam also enjoy optional supplemental hot water generation to save money on monthly water heating. A single-stage scroll compressor, combined with a multi-speed blower motor, corrosion-resistant coil, microprocessor control and quiet operation make this a great choice.